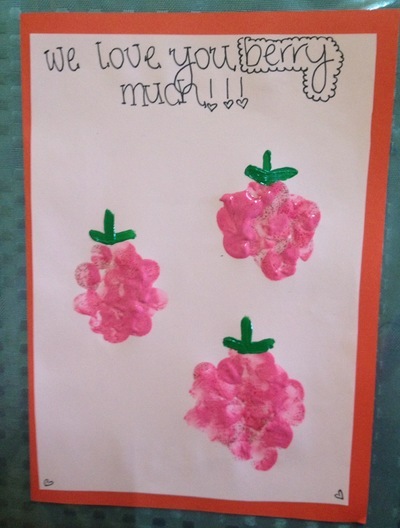 This cute card can suit any occasion. 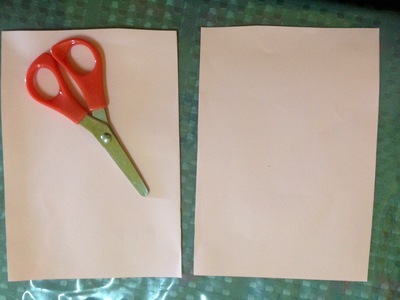 Fold the pink paper in half. Trim the sides using scissors. Unfold, and cut down the crease line. 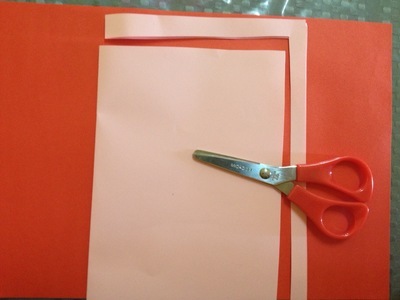 Fold the red paper in half. 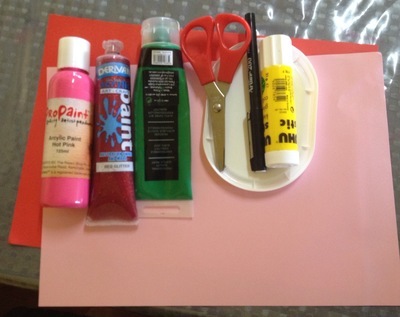 Glue one piece of pink paper inside the card, glue the other piece to the front of the card. 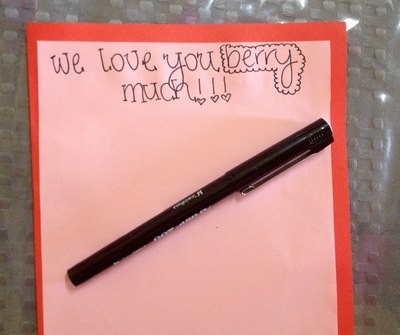 Use the pen to write "We love you berry much". 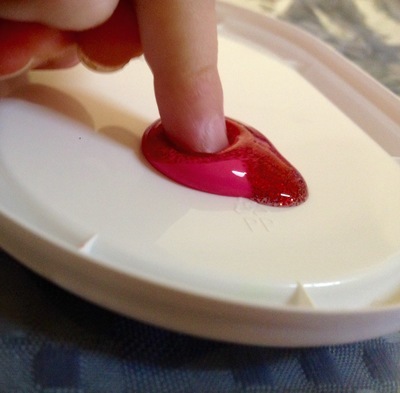 Put some pink paint onto the lid, or paint tray. 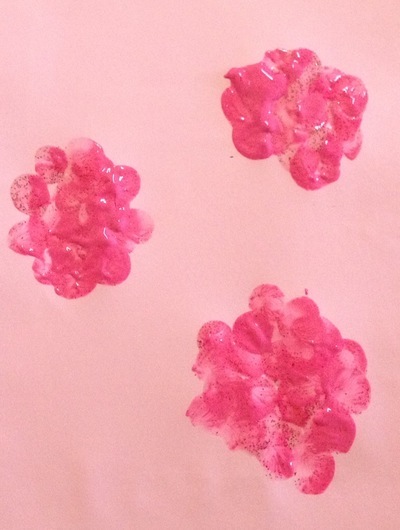 Put some red glitter paint on top. Do not mix. Brush on detail with the green paint.